There's a trend regarding Super Bowl food that includes meat. 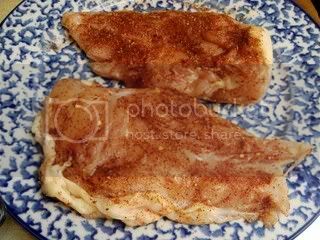 In fact, some might say you are committing a sin if you don't have meat at your tailgaiting party or your party at home. I don't really know about that, seeing as I couldn't care less about meat, but meat we made nonetheless. Before I get to the meat, Super Bowl parties must have snacks. Wasabi-coated peas are one of THE best snacks in the world. Crunchy, savory, and very spicy! Now back to the main course, which was Spicy Honey-Brushed Chicken Thighs for sandwiches, though I used chicken breasts. 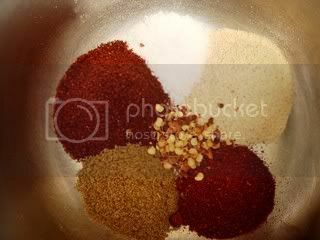 Clockwise starting at the top: Kosher salt, garlic powder, chili powder, ground cumin, paprika, and red pepper flakes for the dry rub. 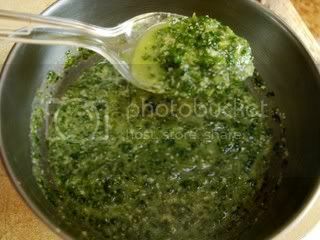 I could just have used mayonnaise and mustard, but I don't like mayonnaise (unless it's homemade or horseradish mayonnaise) and I wanted to make it extra special, so I made a cilantro pesto. It also tastes great as a chip dip. And here is a pile of meat, sure to satisfy anyone. (Unless they don't eat meat, in which case you're screwed. >.<) Make sure you cover the chicken, or any meat, with foil and let it rest for 10-15 minutes. 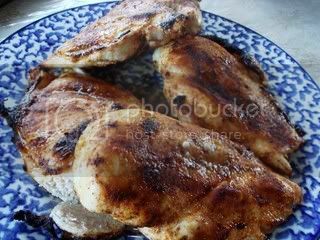 It will give the juices a chance to redistribute within the chicken so it won't ooze out when you slice it. Especially if it's chicken breasts, which we all know lacks flavor to begin with. Another very important component to a sandwich, besides the innards, is the bread. 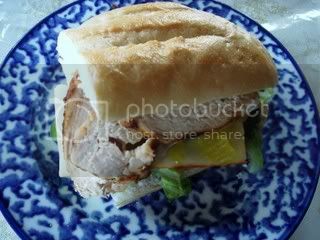 If you're making subs, you want a roll with crusty and chewy outtards (but not difficult to chew through) and spongy, flavorful innards. If the bread reminds you of sawdust, get rid of it. If necessary to fit more innards in, you might need to hollow out the insides a bit. For me, the best part of events such as the Super Bowl isn't so much the eating of the food as it is the making of it. A foodie always looks forward to an event that requires food, which sometimes means we develop an interest in the main event itself. (Giants!! And they are going to win because Conan's turtle race said so. HA!.) Sometimes. But mostly, from our viewpoint, it's usually about the food. This sandwich looks really great--I love the cilantro pesto on it. 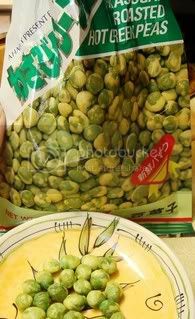 I am also a big fan of wasabi peas! Saw the link to your blog on Runner's World. My husband bought me some Wasabi Peas for my birthday, and I LOVE them. Have to eat them in moderation, though...which isn't too hard, since when I ate over half the can on my birthday it left me with a burning sensation in my stomach. Wasabi peas, spicy chicken, cilantro pesto...this post has it all. I don't like cilantro, though. I've tried, and tried. 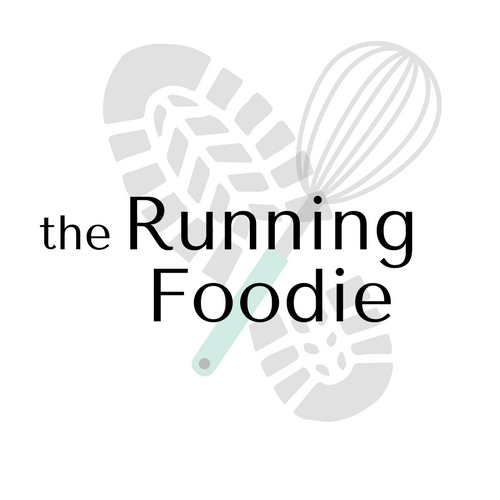 Hi, I'm also a running foodie, so I though I'd introduce myself by tagging you!